Pvt. 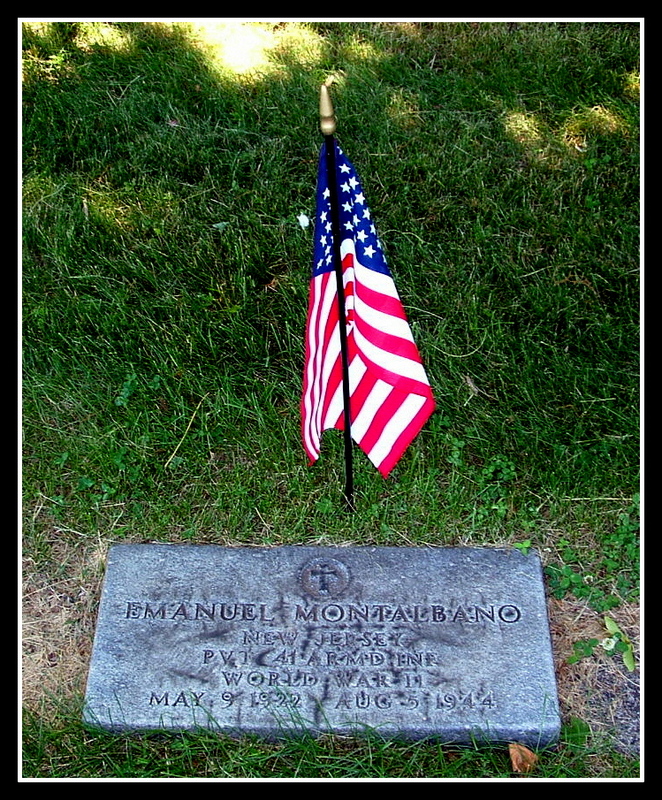 Montalbano served in the 41st Armored Infantry, 2nd Division. His service number is 32563652. 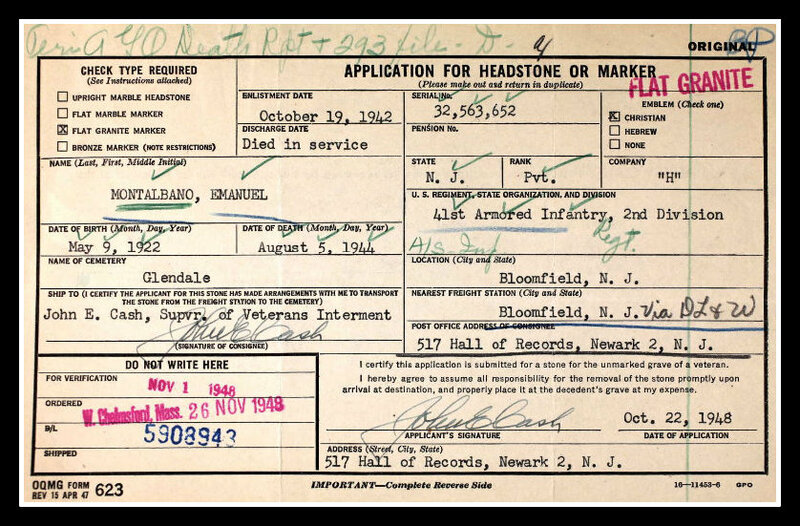 Prior to entering the service on October 12, 1942, he worked as a grocer. May 9, 1922 - Aug 5, 1944.